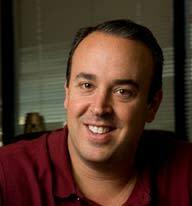 Brian Fischbein may be CEO of an Irvine, Calif.-based technology professional services company. 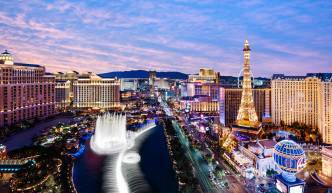 But it is Las Vegas that he sees as integral to the firm&apos;s growth plans. The Captivate8 division of his Crescent Solutions firm hosts gatherings that give technology vendors an exclusive opportunity to present their products and services. "Our events match CIOs and CTOs with qualified vendors who want to meet them," Fischbein explains. 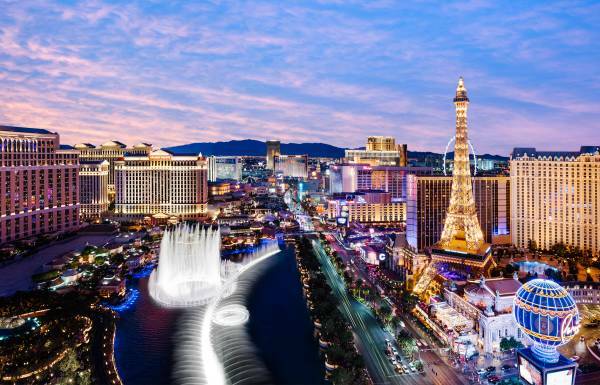 Las Vegas is an extremely practical location for these summits because it already hosts so many major technology industry events, which makes it easy to leverage his executive participation in his events by piggybacking them onto those gatherings that have already drawn them into town. "Our members come to Las Vegas regularly for industry gatherings," he explains. "We schedule our events around those bigger events so the vendors that would come for the Captivate8 events are already there for something else. All they have to do is stay a little longer." And that&apos;s why Fischbein sees the city as an important part of his company&apos;s growth strategy. Captivate8&apos;s Las Vegas events have been so successful that the company has grown from holding two summits per year there in 2011 to holding three events in the city this year, with a goal of six to eight next year. "This industry is all about innovation, and Las Vegas offers everything we need to cater innovatively to our members," he says. Even if there is no trade show or convention to attend, Fischbein says the allure of Las Vegas as a destination makes it easier to attract companies to Captivate8&apos;s events than other cities. In fact, when Captivate8 gave invitees who couldn&apos;t attend its regularly scheduled events the option to attend an event in Las Vegas or their choice of another major city, 100 percent of those invited chose Las Vegas. Fischbein says the cornerstone of that appeal is the wide variety of accessible and cost-effective high-end venues that deliver an exceptional experience for his clients. He hosts his events at different sites to keep things fresh and relevant, and says the sheer number of high-end hotels, restaurants, golf and other amenities in Las Vegas allows Captivate8 to host repeat and ongoing events with the highest level of quality. "Las Vegas is so convention and group-friendly, all you have to do is make one phone call and you&apos;re set, and your event will cost half of what it would in other major cities," says Fischbein, who estimates his company saves anywhere from $10,000 to $15,000 on each event held in Las Vegas. "We have so many great venue options in Las Vegas that are all at that right price point that makes it a win-win for everyone." Already know your needs? Submit your RFP here and it’ll be assigned to one of our destination experts.